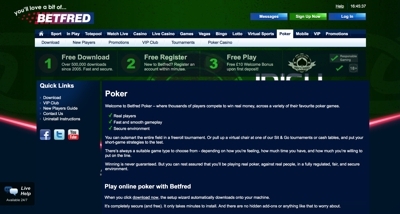 Betfred was founded in 1967 in Salford, Greater Manchester, by brothers Fred and Peter Done. Originally called Dones they began with a solitary betting shop but soon expanded to two and now… about 1,350! Not bad for a couple of young lads from one of the roughest areas of Manchester. They employ almost 10,000 people throughout the shops and at headquarters in Warrington and in Gibraltar, where the legal entity Petfre (Gibraltar) Limited is based. They are licensed and regulated by the government of Gibraltar and its gambling commission and the company as a whole now turns over around £4bn per year. I say it again (but slightly differently), not bad for a bald bloke from Salford. From their origins as a high street bookmaker they have expanded and now offer the full array of gaming options. The casino is available to play in download or instant play mode and there is also a live casino with real dealers. In addition Betfred has separate games, poker and bingo suites, as well as lotto and a dedicated virtual sports section offering football, horse racing and other sports 24/7 with hardly a pause for breath from one event to the next. Their mobile offering, which supports sports betting, games and the casino, recently won an award for “Innovation in mobile” at the mGaming Awards and it is indeed a slick and user-friendly platform, accessible on all smart phones. Customer service is available 24/7 by our favourite method, live chat, and also a host of other options and all in all Betfred are hard to fault. Sports fans can enjoy great odds and an excellent range of markets whilst casino, poker and games players are also well looked after with smooth software and impeccable functionality. Betfred’s size and long-established history are excellent guarantees of security and trust and we fully recommend signing up to Betfred whatever your favourite type of online gaming happens to be. 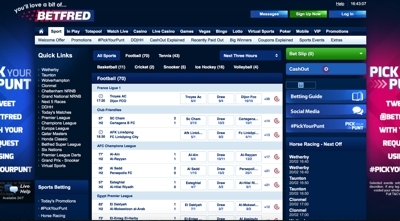 There is also something to be said for innovation – and Betfred literally invented the Goals Galore market (which has now been copied by nearly every other bookie on the web) as well as the Lucky 15 bet. 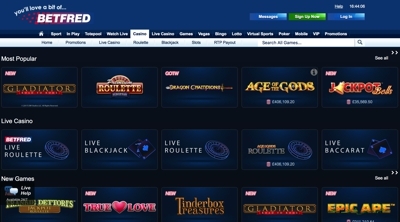 The casino is powered by Playtech, giving Betfred one of the biggest gaming portfolios in the industry. They are probably best known for their branded slots which are based around well loved films and TV. The casino has recently introduced a live casino line up of games including roulette, blackjack, holdem and baccarat. The poker room is powered by the ever-popular iPoker Network, which allows them to tap into one of the bigger player, pools in the industry. Betfred actually includes quite a lucrative VIP section (loyalty store) where you can exchange points earned at the table for cash rewards. On top of that a range of leagues, tournaments and guaranteed prize pools can be found every night from within the poker room, making it one of the best poker communities in the industry as a result. 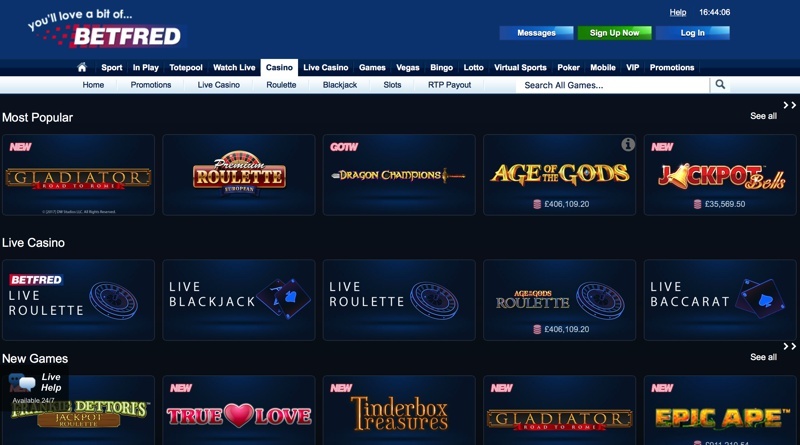 Betfred Bingo are currently running on Virtue fusion network and as a result carry a massive range of bingo games to choose from. Some of the companies most popular are that of their jackpot games where players can often find themselves picking up pay cheques of 6 figures or more. Whilst these sorts of games range, we did find that the graphics from within the bingo section was particularly high, which is as much a credit to Virtue Fusion as anything. 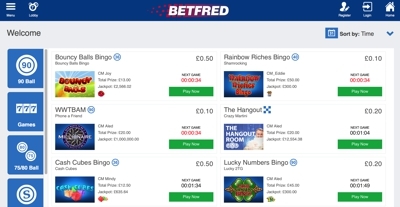 Betfred have been keen to make their bingo section more of a community, compared to the likes of sports betting and casino. The forums and inclusion of live chat games means interaction between members is high and often something that keeps a lot of bingo players coming back more often.